Thank you so much Alick and Educa for an amazing opportunity and to Kelly for such a valuable and memorable learning journey. 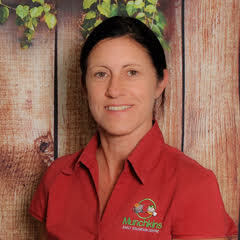 Educa’s New Zealand study tour drawing in 2018 was won by Merryl Minto from Munchkins Early Education Centre in Queensland, Australia. The tour, run by Kelly Goodsir, included centre site visits, workshops and a Learning Stories conference. It just completed. We asked Merryl to give us her thoughts on her experience. 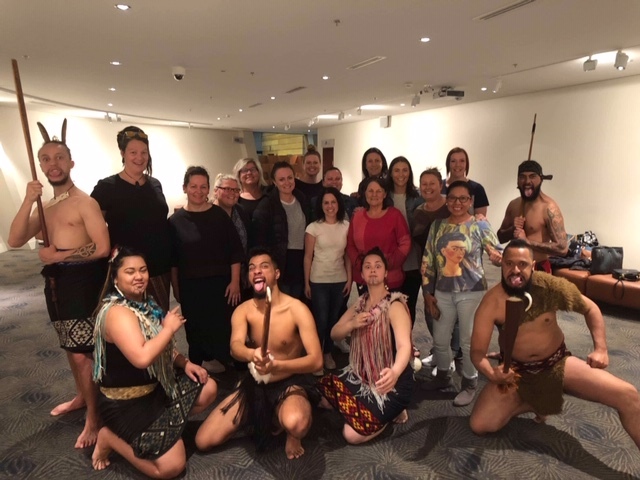 I was taken aback by how the Maori culture is embedded within the policies and practices in Early Childhood Centres including documentation, experiences, language, reflections and connectedness, governed by Te Whariki. Similar in many ways to our own practices guided by the Queensland Kindergarten Guidelines, yet felt a heart-warming sense of urgency, inspired to reflect on my own practices and collaborate with colleagues as to how we can raise the profile of pedagogy in our Centre. Who we are and where are we going? The small dose of Auckland we were lucky enough to experience, was a tease, making me want to return to explore further and to visit the South Island which we heard so much about. Parnell where we were based, a beautiful quaint town with some wonderful cafes, bars and boutiques. What would you most like to add into your daily practice? As much as in our practices we observe, document and reflect on children’s development, one aspect that stood out was a focus on learning dispositions. Are we there yet? Exploring skill development, looking beyond the child’s engagement in the experience to explore the competencies for lifelong learning. Being ready, being willing and being able – working toward reaching a goal. A strong focus of the tour was learning stories and documentation – making learning visible. It was wonderful to collaborate and experience many varied meaningful ways of documenting and how these valuable sources of evidence-based learning can be utilised – to support transition statements, as links to collaborative projects, sharing learning with families through digital programs to name a few. What did you learn from the educators on the tour? Apart from the fact that the group was a fun, energised, easy to get along with group, the tour was such an amazing, inspiring opportunity to network with educators near and far. Sharing, sharing, sharing!! Including our rooms! Sharing unique stories related to our individual positions and centres, collaborating on establishing learning environments and documentation, approaches to reflective practice. As a group we established a closed Facebook page to share ideas, thoughts and photos of our journey. A lot to ponder. Connections to value. What differences did you pick up between Australia and New Zealand ECE? It was a unique networking opportunity. The centre visits obviously highlighting the policies and practices of Te Whariki. A lot of similarities with pedagogies where both curriculums focus on the role of relationships and connectedness in early childhood education – believing that learning takes place through relationships and a common thread in being, belonging and becoming. The perspective of ‘socially and culturally mediated learning’ that the NZ curriculum is informed by and which lies at the root of contemporary narrative assessment practices is an aspect to aspire to, together with the in-depth concept of learning stories that evolved in NZ. Would you recommend Kelly Goodsir’s Study Tours? Such a valuable, unique opportunity. I couldn’t believe I won such an amazing prize, then after experiencing all that was offered, I was so grateful for the experiences and learning I encountered. 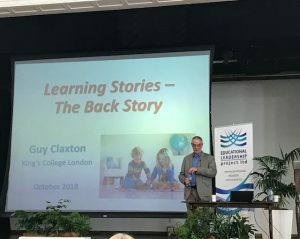 The conference we attended ‘Celebrating Learning Stories’, followed up by a centre presentation and long awaited presentation by Kelly herself, were all beneficial for personal development as much as professional. As an advocate for Early Education with 30 years experience, I am always learning. A quote from the tour – “teachers never become teachers, teachers are always becoming teachers!”. Kelly’s expertise, knowledge and experience in working in NZ with Te Whariki enabled us to have such a memorable tour. Her well-organised schedule for the tour, the thought out detail ensuring a variety of opportunities including the amazing centre visits made the tour such an authentic journey.